The Philippines and US unveiled Monday a new maritime training facility that is expected to strengthen Manila’s capability to patrol its waters. Washington is currently locked in a trade war with Beijing, which has competing claims with the Philippines in the South China Sea. The new maritime training facility in Balagtas, Bulacan will offer courses that are “essential to ensuring that Philippine Coast Guard can maintain the highest possible effectiveness, patrol its waters, maintain domain awareness of its waters,” said US Embassy deputy Chief of Mission John Law. “That’s something that benefits the Philippines and as your ally, it benefits the United States as well so we’re very happy to be partnering with the Philippine Coast Guard on this initiative,” he told reporters. 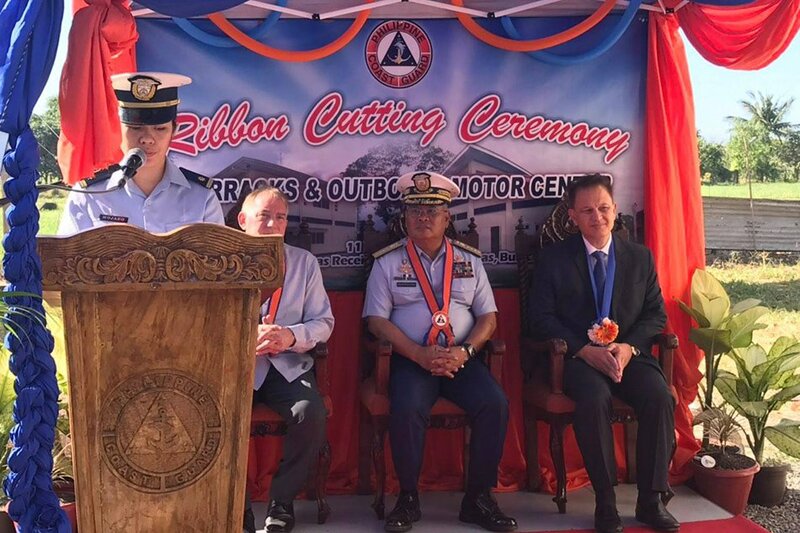 The P156 million facility called Outboard Motor centre of Excellence has a classroom, barracks and motor maintenance laboratory. It is a joint project by the Philippine and US coast guards, Joint Interagency Task Force West, Joint US Military Assistance Group, US Department of State Bureau of International Narcotics and Law Enforcement Affairs. “This kind of support is on a long term basis so it is one of our objective to prolong the services of our assets,” said PCG commandant Admiral Elson Hermogino. The PCG is expecting the delivery of about 50 small sea vessels that will be used mainly in anti-piracy operations and law enforcement in Southern Philippines, he said. Of the total, 4 were procured from the US, 10 were donated by Japan and the rest will be made locally, Hermogino said.